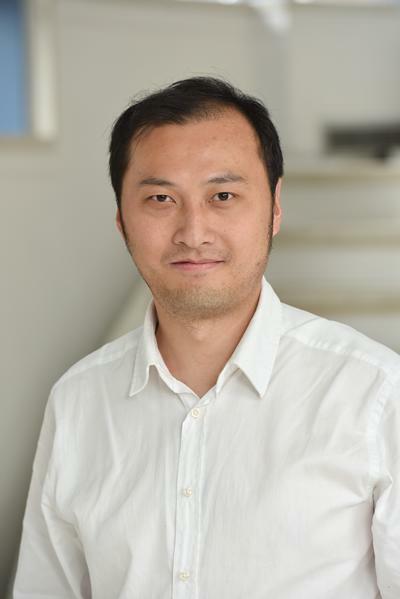 Dr Jin Yao is a Research Fellow in Chemistry at the University of Southampton. • 10/2012 – 06/2013, Innovative Materials Processing Technologies Limited, Nottingham. • Chalcogenides materials on various applications: Phase Change memory, thin film solar cell, thermoelectrics. • High throughput physical vapour deposition based thin film synthesis. Hayden: Physical Vapour Deposition for the High Throughput Synthesis of Solid State Material Libraries. Management of Advanced Composite Materials Facility, Chemistry. MacDonald, K., Piccinotti, D., Karvounis, A., Gholipour, B., Yao, J., Hayden, B., & Zheludev, N. (2018). Extraordinary properties of chalcogenide metamaterials. 12th International Congress on Artificial Materials for Novel Wave Phenomena – Metamaterials 2018, Espoo, Finland. Piccinotti, D., Gholipour, B., Yao, J., MacDonald, K. F., Hayden, B., & Zheludev, N. (2018). Extraordinary properties of epsilon-near-zero and low-index chalcogenide metamaterials. Paper presented at Conference on Lasers and Electro-optics (CLEO), San Jose, CA, United States. Piccinotti, D., Gholipour, B., Yao, J., MacDonald, K. F., Hayden, B., & Zheludev, N. (2018). New materials for metamaterials: plasmonic and ENZ chalcogenides. SPIE Photonics Europe 2018, Strasbourg, France. Gholipour, B., Piccinotti, D., Yao, J., Karvounis, A., MacDonald, K. F., Hayden, B., & Zheludev, N. (2018). Optical switching in nanostructured phase change materials. SPIE Photonics West 2018, San Francisco, United States. Piccinotti, D., Gholipour, B., Yao, J., MacDonald, K. F., Hayden, B., & Zheludev, N. (2017). Combinatorial search for plasmonic and epsilon-near-zero chalcogenide alloys. Paper presented at 2017 Conference on lasers and electro-optics and European Quantum Electronics conference , Munich, Germany. Piccinotti, D., Gholipour, B., MacDonald, K. F., Yao, J., Hayden, B., & Zheludev, N. I. (2017). Compositionally-tuneable plasmonic and epsilon-near-zero behaviour in chalcogenides. Poster session presented at International Workshop on Emerging Applications of Optical Nanostructures, Tel Aviv, Israel. Piccinotti, D., Gholipour, B., Yao, J., MacDonald, K. F., Hayden, B., & Zheludev, N. (2017). Not-so-extraordinary transmission through an array of nano-holes in a metal film. Progress in Electromagnetics Research Symposium 2017, Singapore. Gholipour, B., Piccinotti, D., Yao, J., Karvounis, A., Yin, J., Soci, C., ... Zheludev, N. I. (2017). Plasmonic response of chalcogenides and switchable all-dielectric metamaterials. Poster session presented at 6th International Topical Meeting on Nanophotonics and Metamaterials (NanoMeta 2017), Seefeld, Austria.